The Late Alalo was eulogized as a hardworking and patriotic officer who loved and was committed to her job. Her children were urged to take pride in their mother's achievements and strive to emulate her. 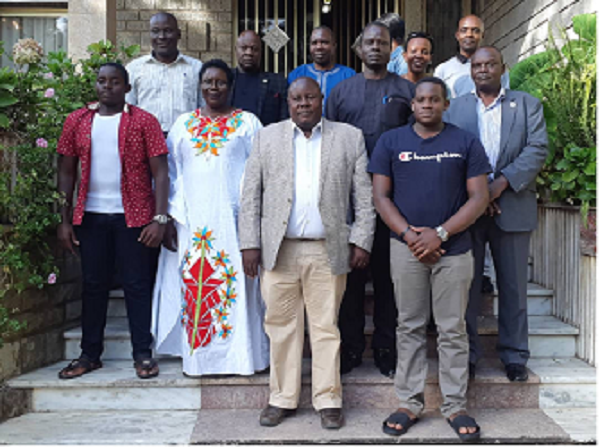 The family which was accompanied by the Director for Medical Services in the Uganda Police Force, Dr. Moses Byaruhanga, was in Addis Ababa at the invitation of the government, to help in identification of the remains of Ms. Alalo who perished in the Ethiopian Airlines plane crash on 10th March, 2019. DNA samples have been provided but identification of the remains is expected to take at least 6 months. While in Addis Ababa, the family attended briefings by the Ethiopian Government and the AU, attended a memorial ceremony organized by the AU and visited the site of the plane crash.